A year after I joined my Guide unit, I was looking for a new challenge, and ways to get more involved with the Girlguiding. Browsing around on the internet, I discovered the Queen's Guide award, and decided to give it a shot. 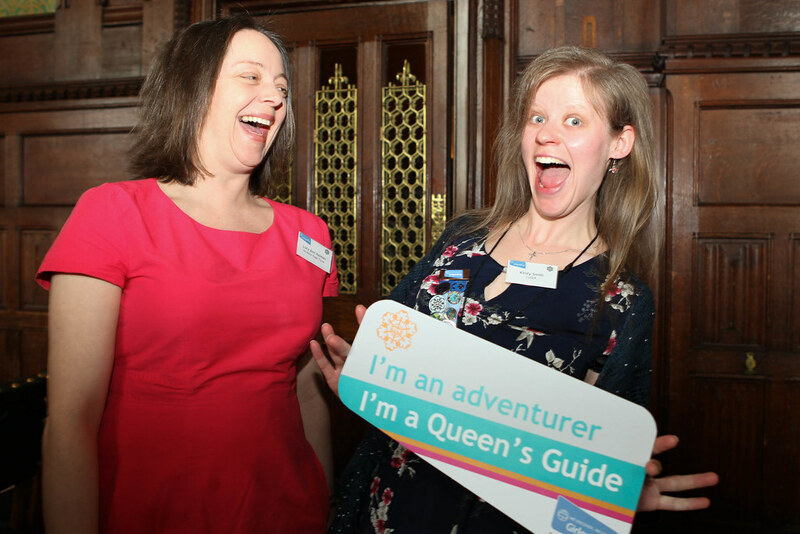 To achieve your Queen's Guide Award, you need to demonstrate that you have completed a range of tasks which focus on participation in Girlguiding, and meeting personal challenge. That includes service within Guiding both locally and on a wider level, developing a skill, contributing to your community, completing outdoor challenges and taking part in residential events. And it's a lot of work. 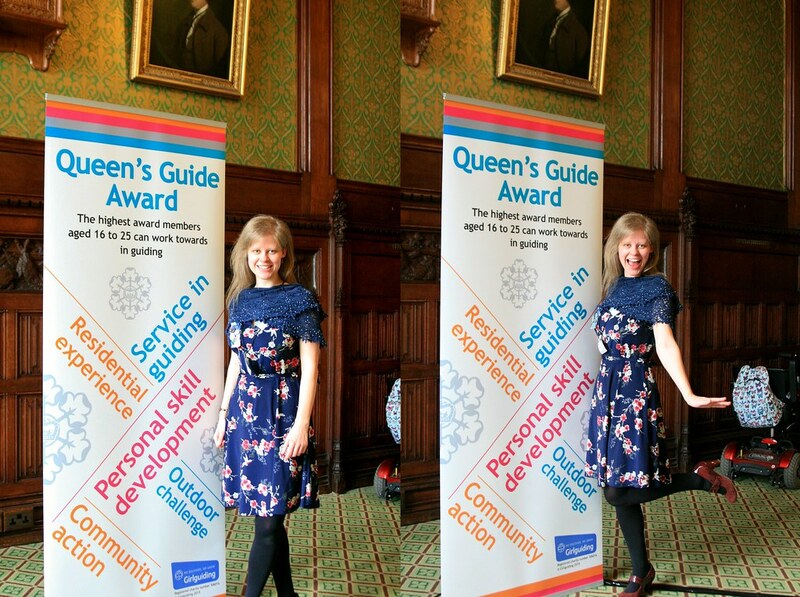 I loved working on my Queen's Guide Award. My friend Laura and I started the award at the same time, so we were able to support one another, and we had the advice and Guidance of a mentor. Initially, it seems like a huge amount of work to complete, but the very first thing all potential Queen's Guides are advised to do is to plan out what they're going to do and when it will all fit together. In order to gain the award, I worked on a photography project, I helped to run district events, I earned my residential licence so I am qualified to lead Guiding holidays, I got involved with international Guiding and I took part in a nationwide project to evaluate the program for Guiding. 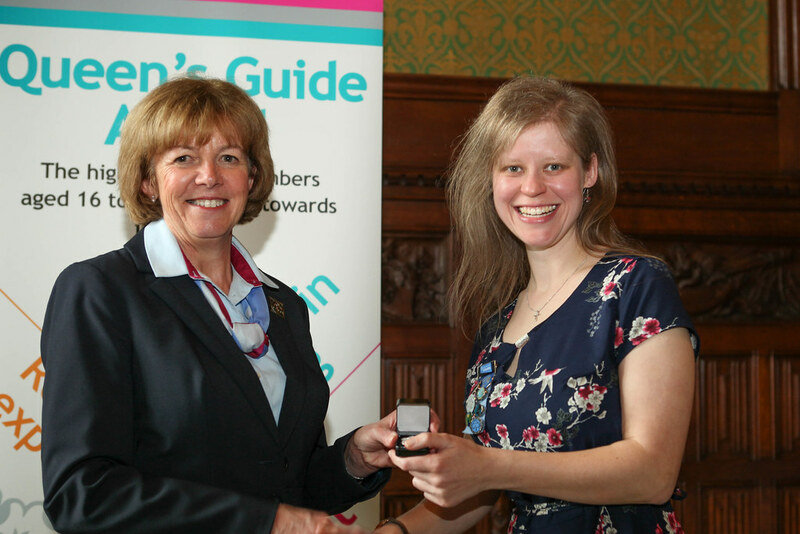 This involved my first ever phone conferences, a trip to the London Girlguiding headquarters, and lots of visits to local units to get their feedback. It was totally worth it. I loved doing it, and I would never have thought to complete my residential licence or take part in an international selection without the motivation and inspiration of the Queen's Guide Award. 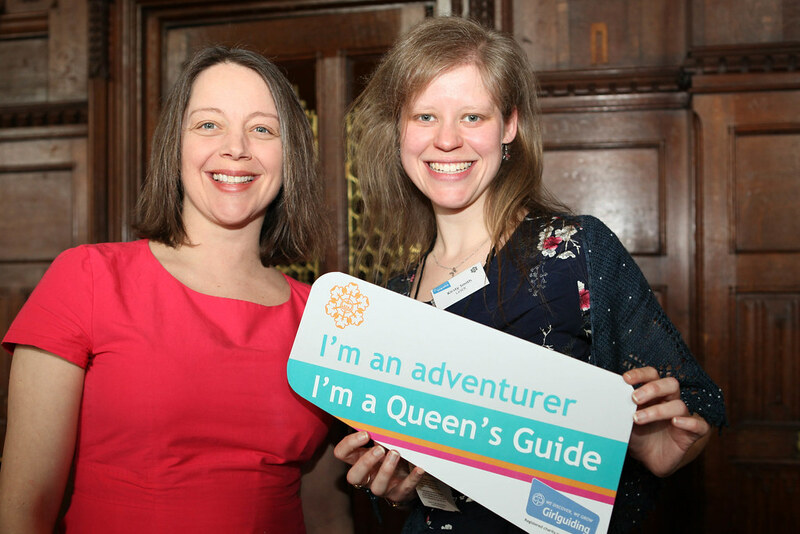 It encouraged me to try new things, and I credit the Queen's Guide programme with introducing me to International Guiding! 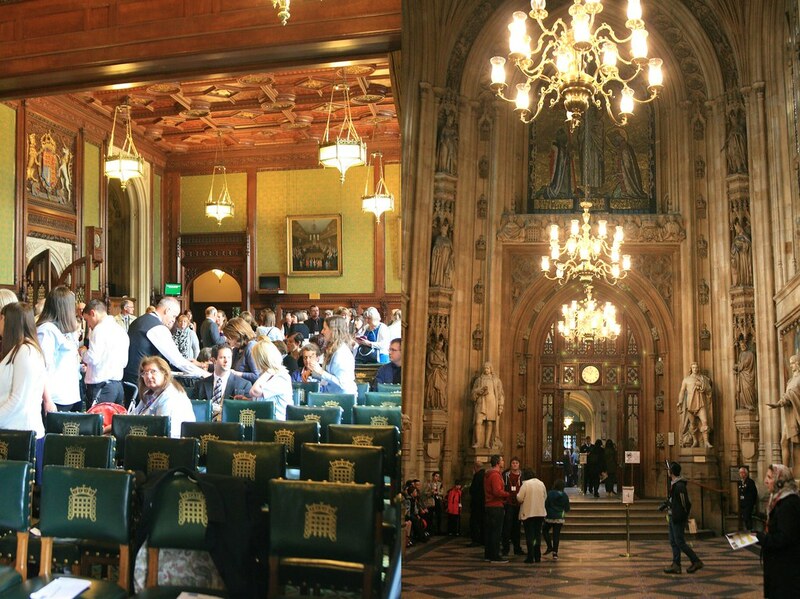 I have now completed the award, and over Easter I was invited to attend an official presentation at the House of Commons. My Mum came with me, and we had a brilliant day. 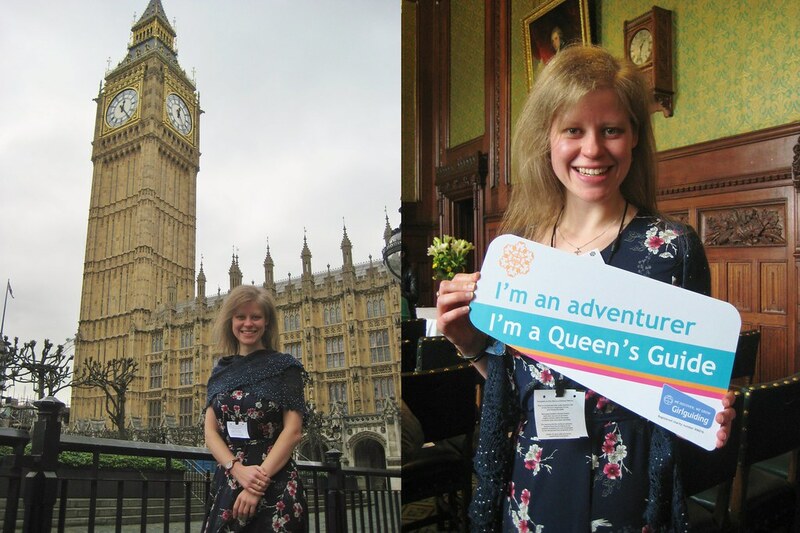 It was lovely to poke around inside the House of Commons, and I’m not going to deny that there was a little thrill in arriving at security, presenting our Girlguiding invitations, and being hustled inside. 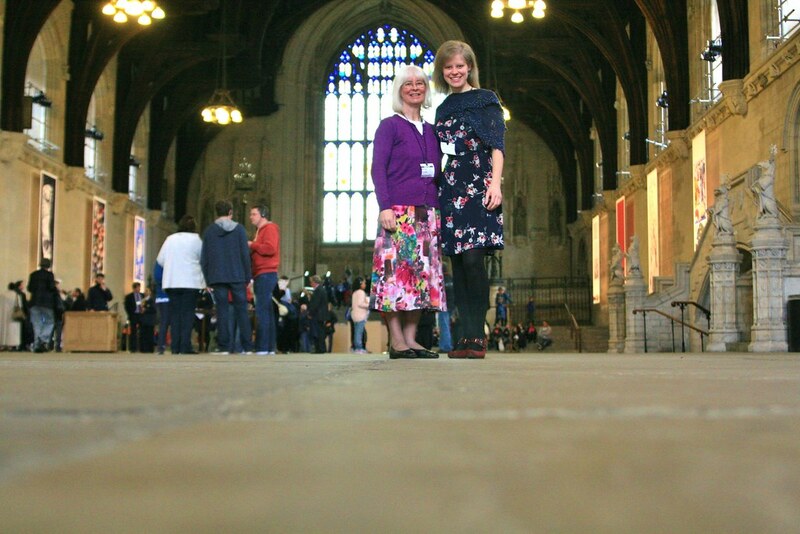 We spent a little time admiring the exterior, and then entered Westminster Hall. It’s an incredibly grand surrounding, and I liked the sense of occasion. We then proceeded through to the Central Lobby. Anything less like a lobby can scarcely be imagined. ‘Oppulant Gallery’ would prove a more apt name, but we progressed undaunted anyway. 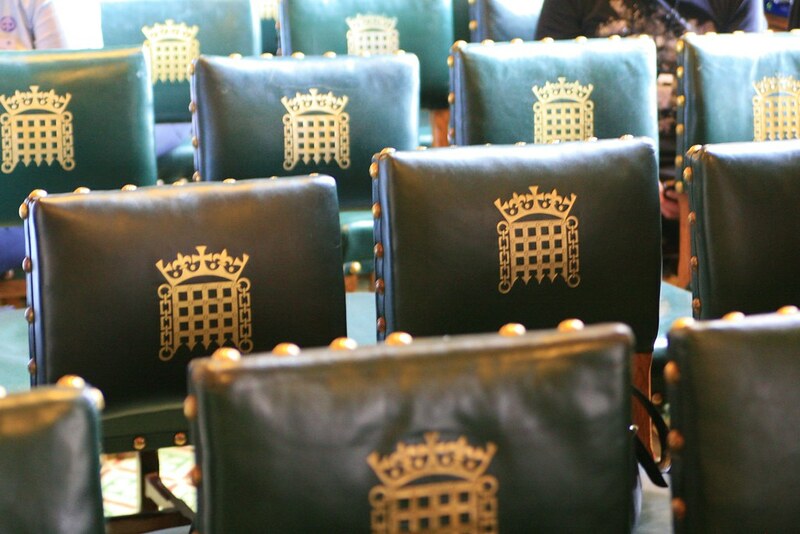 The presentation took place in the Members’ Dining Room. 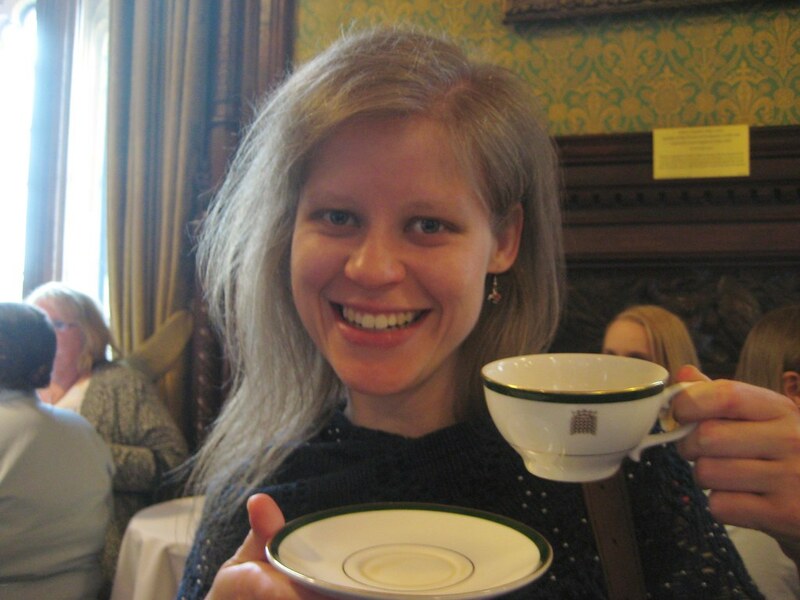 It was a lovely venue, and we enjoyed a House of Commons cuppa in a House of Commons cup and saucer. We also nibbled some House of Commons nibbles, and then nibbled some more of them because they were delicious. Although the spring rolls (my favourite) prompted the double-dip debate. Is it OK to dip in the sauce, have a bite and then go back for a second dip? Obviously with the other, none-chewed end of the spring roll, but is it acceptable? We had some time to mingle and chat before the presentations which was very enjoyable; I ran into a few other leaders whom I have met before through GOLD and I also met Gill Slocombe, the Chief Guide which was pretty exciting. She was lovely to chat to, and of course I happened upon her just when I had decided that I could probably solve the double-dip conundrum by fitting a whole spring roll in my mouth at once. Really classy Kirsty, well done. There were around 40 of us from all across the UK receiving our awards that day. It was a great feeling to be presented with my award from the Chief Guide, and it represented the culmination of a huge project which I have enjoyed enormously. In between presentations, we heard from an award holder from a previous presentation who talked about the things the award had lead her on to, and from one of the women receiving her award that day who talked about the challenges she’d faced due to her disability. We also heard from Lucy Holmes, who started the No More Page 3 campaign. It was wonderful to hear about the campaign from Lucy, as it's a cause which Girlguiding stands squarely behind. She told us of some of the difficulties she'd experienced with the campaign, and she was a brilliant speaker; inspiring and engaging. Plus she posed for photos. I got overexcited. Her message was one I could relate to: as members of Girlguiding, we have power. Power to stand up for what we believe in, power to say no to things that are not right, and we literally have the power to change your world. All you've got to do is try. On our way out, we perused the gift shop, which proved to be sadly lacking in badges to sew onto a camp blanket. That's quite the fail, Westminster. But my Mum treated me to a fabric logo magnet. From which I can detach the magnet, so that it is simply a fabric emblem. Or, in fact, a badge. Camp blanket here I come! P.S. You can work towards your Queen's Guide Award if you're a member of the Senior Section; more information here. WOW! I know a Real Queen's Guide! Wow!! When I was a little Girl Guide, I really wanted to work for my Queen's Guide Award. But of course, I couldn't, yet... And then I joined the Venture Scouts (who, by the way, had a whole lot more fun than our local "Ranger Guides" did at that time!). So I kind of left Guiding and never got back into it. One day I may become a helper for a Brownie/Rainbows pack or a Guide company. That would be good, even if I never attain the dizzy heights of the Queen's Guide Award. I am SO impressed, Kirsty. I do know how hard you had to work for that award and how much you deserved your special day out and presentation award ceremony. Well done! And again, Wow! Congratulations Kirsty I know how much work is involved.